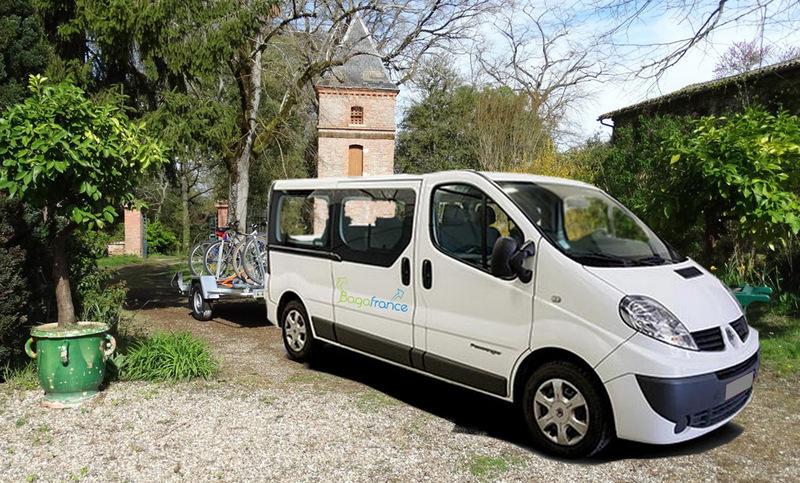 Bagafrance offers a service of transport of passengers in order for the cyclists, hikers, kayakers and horse riders to go back to the location of their departure at the end of the tour or to jump a stage if requested. How to reach the starting point of your activity? We'll get you back to where you started, including your bikes. Too tired to do the stage planned today? Contact us even at the last moment, we'll take care of you. We can ensure your travel including with your bikes. Transportation, up to eight people per vehicle, includes passengers' luggage and their bike, carried on an 8-bike trailer hitched to the vehicle.Contact us as soon as possible to ensure the availability of our vehicles. Bagafrance has a specific insurance for passenger transport.